Dalan Nepal - You just got back from Terai districts. What is the situation there? Thakur - Nepal’s Terai Madhes districts are in a state of turmoil. Thousands of people are pouring on to the streets, not just in big towns like Janakpur and Birgunj, but also in the remote villages. Everywhere you go, you are greeted by ‘Jay Madhesh’ slogans. On the other hand, the police have been using disproportionate force which has left at least a dozen dead and many more injured. This has further antagonized and angered Madhesis. Dalan Nepal - How did the negotiations with government representative go? Were you able to reach any point of agreement? 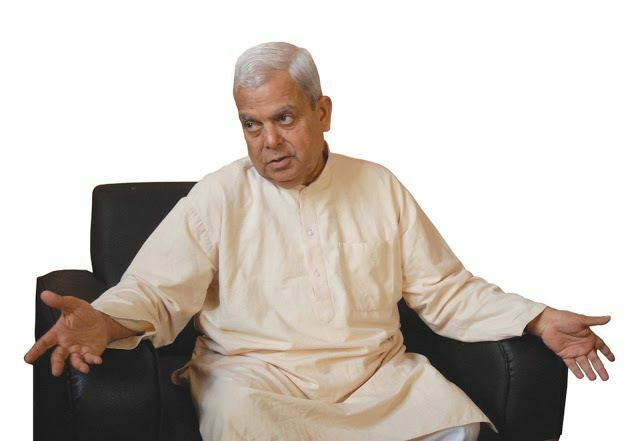 Thakur - Madheshi Morcha is clear in its agendas. Our demands are not new. During our meetings with the parties, we have repeatedly requested them to fulfill earlier commitments made to Madheshis. Once that happens, we are ready to participate in the drafting process. Until then, the protests will continue. We have been patient and waited but the big parties bullied us and tabled the draft. There is lot of anger among people on the ground and now they are determined to resist this bullying. Dalan Nepal - Madhes districts have been shut down for three weeks now. The talks have not materialized and the government is not willing to halt the drafting process. What will the Morcha do now? Thakur -We already have scheduled programs for this week. After that we will call a meeting and decide on next stage of protests. Informally, we have already started discussions with the stakeholders of the movement internally. Dalan Nepal - You have also been holding high profile meetings with those in the diplomatic circles. How was their reaction to what is happening in Madhes? Thakur- The international community is one in their wish to see Nepal draft its new constitution at the earliest. We really appreciate their positive concern, but I have also found them to be positive about the genuine issues raised by Madhesis and Tharus in Terai. Dalan Nepal - You are the senior among Madhesi leaders. As someone leading the movement, where do you see it going? Thakur - I don’t see a settlement being reached any time soon, because those wielding state power have entirely misread and underestimated the movement. But we will continue to protest peacefully and put pressure on them. If they continue to ignore thousands of voices in the streets, like in all great movements, they will inevitably be overthrown from power.